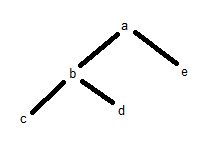 Is there a way to draw a tree (as shown below) in Stack Overflow using any LaTeX package or anything else? TeX is not supported on Stack Overflow (though it is on several other Stack Exchange sites with MathJax). Instead of using the syntax you have, you can use the html <pre> element - white space inside the tag will not collapse. Alternatively - upload an image. Open your favorite image editor (like mspaint on Windows). Click the add image button and just paste it right in that window. It's very convenient and you don't have to save files, browse for files, or visit other sites. It's also a heck of a lot faster than drawing it with characters. Not the answer you're looking for? Browse other questions tagged support editor . How can I disable the keyboard shortcuts in the Stack Overflow editor? How can a normal user or employer check a user's CV on Stack Overflow?